This year in the month of April, Nokia lost its name as a mobile device manufacturer, as Microsoft is taking over Nokia’s devices and services, and now Nokia is going to be renamed as Microsoft Mobile, but no wonder, where ever in this globe you live, you will keep hearing the name ‘Nokia’ for at least the next 10 years, as people will like to use this short beautiful name instead of ‘Microsoft Mobile’, I guess,. Nokia might be struggling now in the current market, but in the past it defined standard, perfection and quality, and Nokia was too famous for very rough use. Now, as both the giants from the computer and smartphone giants now get ready to work together, let’s take a look in the past and visualize some of the best phones in the history of cellular devices and communication, by this “Finnish” company. But before we start, let’s take a look at one of the most promising mobile handsets ad by Nokia. Amazing ad, isn’t it?? So glamorous, so techie. 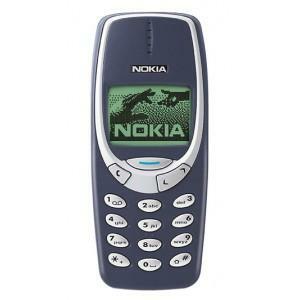 Now let’s have a flashback of the top handsets by the telecom giant Nokia. Most of people here are pretty familiar with this tiny little phone which is also the largest selling phone handset in the world till now, and the number is 250 million. Yes, since its launch in 2003, so many handsets have been sold around the whole world. Though, according to a report theonebillionth 1100 was sold in a store in Nigeria in 2005. The phone was very simple, targeting the developing countries and had only the basic features like calls, SMS, reminder, alarm etc. It was designed at Nokia Design Center in California by Burgerian-American designer Dimitre Mehandijysky. Till now, many people are using it as a secondary phone even after its discontinuation due to its high performance and toughness, a on board flashlight, dust proof keypad that is capable of tolerating any weather conditions. The phone used to have only two games, Snake II and Space Impact, on the first members of mobile gaming. This was also one of the most successful handsets by Nokia and till the date, Nokia has sold more than million units of Nokia 3310It was developed in Denmark and it mainly gained popularity due to its extremely well built quality and design. In India, it became a very popular one for SMS and people got the first taste of mobile gaming in India with one of the most popular games then, Snakes II. And the best part is, no matter how many times you drop it, it won’t get any injuries on it, apart from minor scratches. 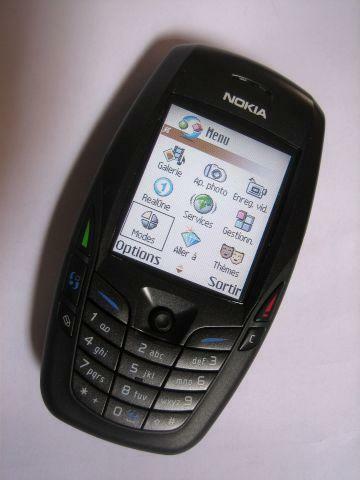 Launched in the 2nd quarter of 2003, Nokia 6600 was one of the most popular smartphone ever. 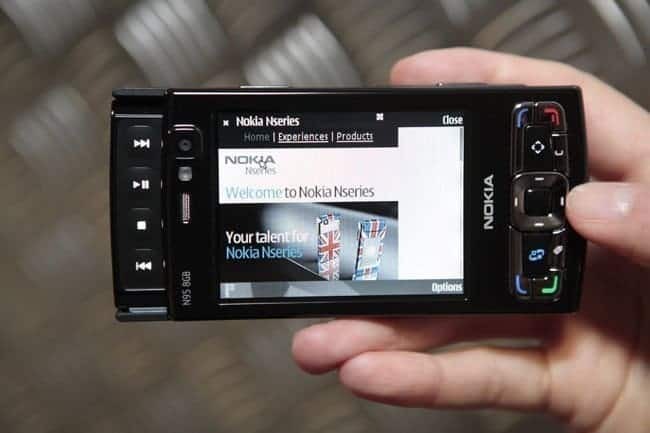 Running on Symbian OS based Nokia Series 60 platform, the phone was a trend setter and party rocker with rich multimedia features like music and video player, VGA camera with video recording and Bluetooth. The little navigational area made it very easy for people to play games and navigate through apps very swiftly. I used was released in 2006 to download a lot of .sis apps on it, and often used to play games on the move. Not a battery killer, or a tab sized smartphone, yet so brilliant. The Nokia N73 was released in 2006, and it was mainly under the spotlight for its 3.2 MP Autofocus camera which was a huge thing for multimedia or smartphones those days. The ‘N’ Series was the high end class of Nokia phones and Nokia promised a different user experience in their ad “See New, Hear New, Feel New” with some of shots of how it can be so brilliant. It came with a dual CPU ARM-9 processor @220MHz featuring a S60 3rd Edition OS. Due to its popularity, Nokia released more editions of this one- Music, Multimedia and Special Edition (Special Edition was made for Middle East, North Africa and Indonesia only). N-Gage was Nokia’s first attempt to make a mobile capable of portable gaming. It featured a S60 platform and was released in 2003. It featured a rugged design, Bluetooth and a solid battery life. 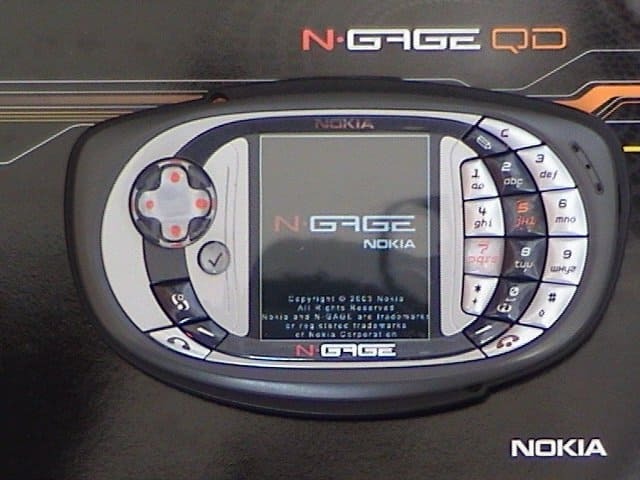 When the first N-Gage failed due to its small screen size, Nokia launched the QD and it proved itself to be a major hit with a cool design and the availability of portable gaming. 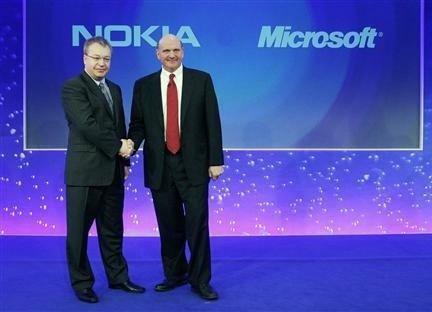 Actually, Nokia attempted a face-off with companies like Nintendo, Sony etc. who were going for portable gaming with the N-Gage series. And till now, it is one of the coolest looking phones from Nokia. 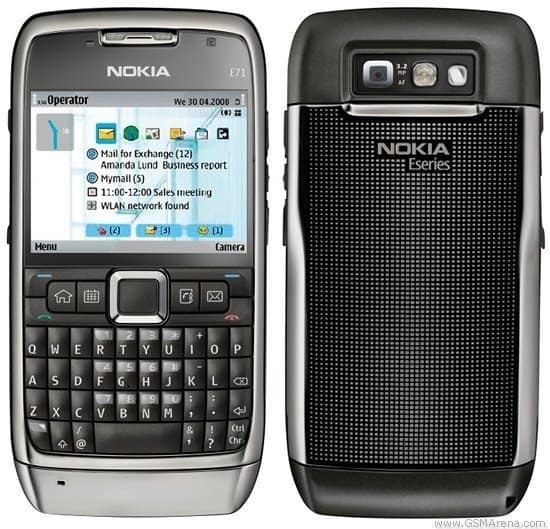 It was an elegant looking business smartphone from Nokia with a QWERTY keyboard like BlackBerry devices and it was released in 2008, running on Symbian OS 9.2 and Series 60 3rd Edition. It was pretty good for business use, as mobile email and messaging services were highly optimized for this device with the presence of the QWERTY keyboard. 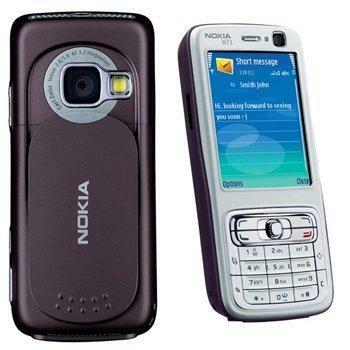 It featured a decent 3.2 MP camera, and also it supported Wi-Fi and 3G which were the latest trends at that time. But, in India we were far away from 3G at that time and most people used to use 2G or Wi-Fi. 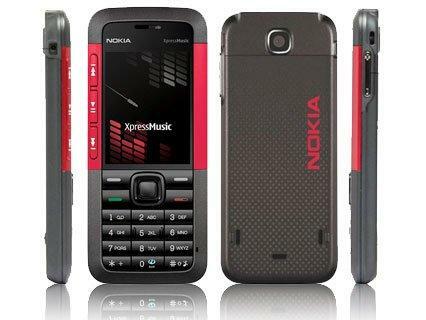 It was one of the first members of the XpressMusic series by Nokia, which was totally focused to music lovers and it came with S40 and a quite sleek design with multimedia controls on the side of the phone. The music player was quite good with customizable controls, skins, equalizer and the 2MP snapper made it a daily use multimedia phone. And honestly saying, it is one the best cellphones I have ever used, still two of them belongs to me. Nokia 5800 XpressMusic was the higher end smartphone plus a music centered phone built for both rich multimedia and high end communication. 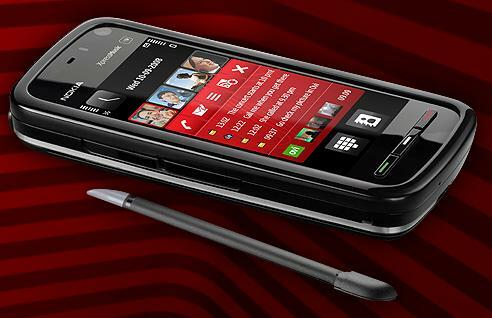 It was the only touchscreen phone in the XpressMusic Series and it runs on S60 3rd Edition. The phone’s most interesting features was may be its 3.2 MP snapper with Carl Zeiss lens and dual LED flash. The phone was packed with solid connectivity options like 3G, Wi-FI, Bluetooth etc. and the stylus that can be stored on the back panel of the phone made it easier to browse webpages of writing something with the handwriting recognition. The music quality was awesome and Nokia made it even better with the earphones with dedicated music controls and a Senheiser headphone. It’s an antique now for cellphone collectors!! N95 was released in the same year iPhone came to market. It was an exceptional phone with a sliding design and would slid open both sided, on the one side was the regular numeric keypad while on the other side was multimedia buttons. It had a wide array of multimedia capabilities and also had GPS and accelerometer which made it a perfect smartphone to put up a challenge to any other phone available at that time. N8 was Nokia’s fisrt device to run Symbian 3 OS and also the flagship phone from Nokia on the year 2010 and was released on October 1st, 2010 around the globe. It came with a 12 MP Carl Zeiss Optics snapper with Xenon flash, HDMI-out and USB On-The-Go. 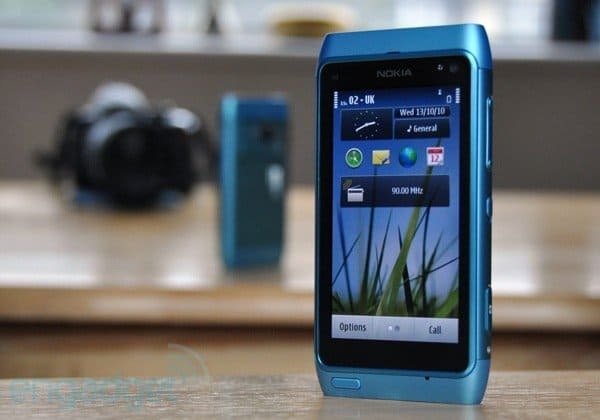 It repleaced its predecessor N97, and became the highest preordered phone in Nokia’s history till now. Almost 4 milion N8’s have been sold till now. It had a 3.5 inch capacitive touchscreen and also featured multitouch. It had an ARM11 processor with 256 MB RAM.